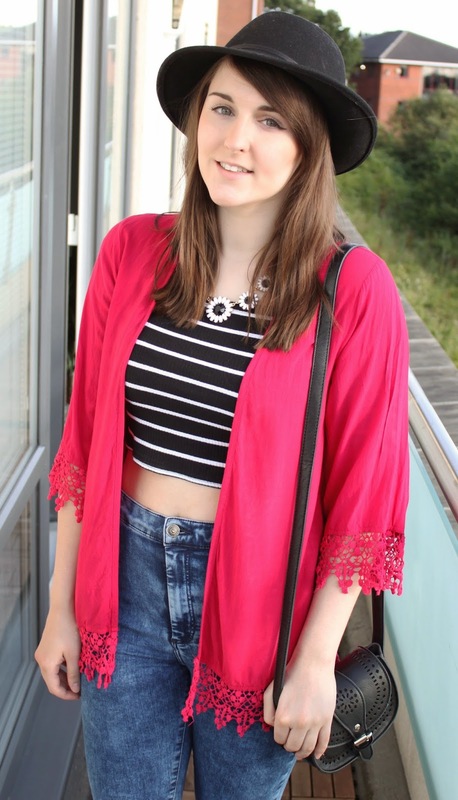 I was recently on the hunt for a light kimono (particularly for those cooler summer nights) when I found the perfect pretty red one in Newlook! I opted for red instead of the standard floral kimono as I wanted something that wouldn't clash with all my patterned clothing - and florals can be quite limiting! (which is unfortunate as I'm floral obsessed!). Well thanks so much for reading and see you very soon! I love how you always create these posts with several different looks! Your styling tips are always great! I especially love the romper with the kimono. 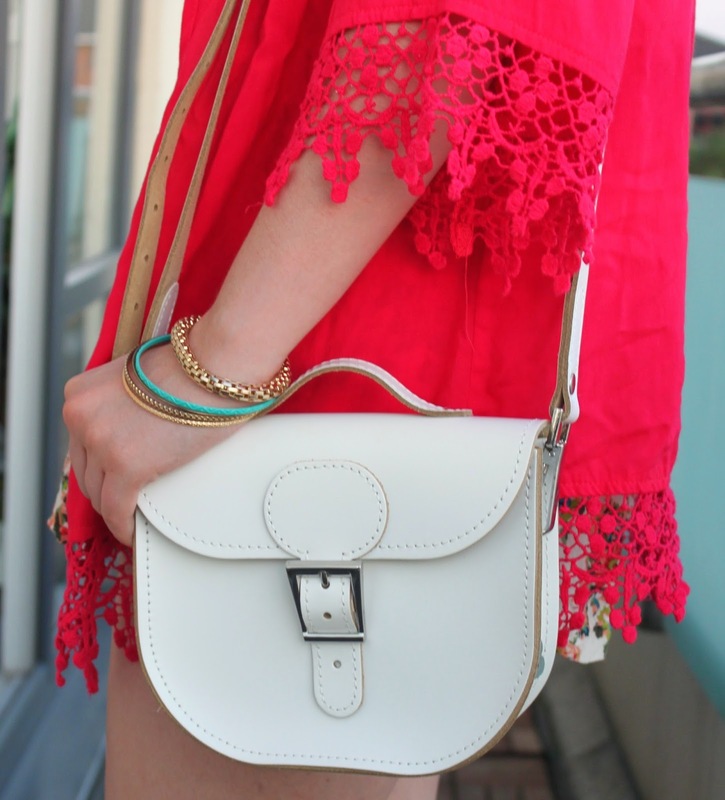 It makes for such a lovely summer look! WOW! Love that Red Kimono! Suits you so much. Thanks cutie! Aw you definitely should they're great to throw over outfits! I love the colour on you! Great post. Wow thanks Aga, you're so kind! I love the kimono, and I have that stripy bardot top from Topshop as well!!! Hey Alice! Thank you glad you liked the kimono :) The bardot top is great isn't it such a cute piece! Love all these looks! 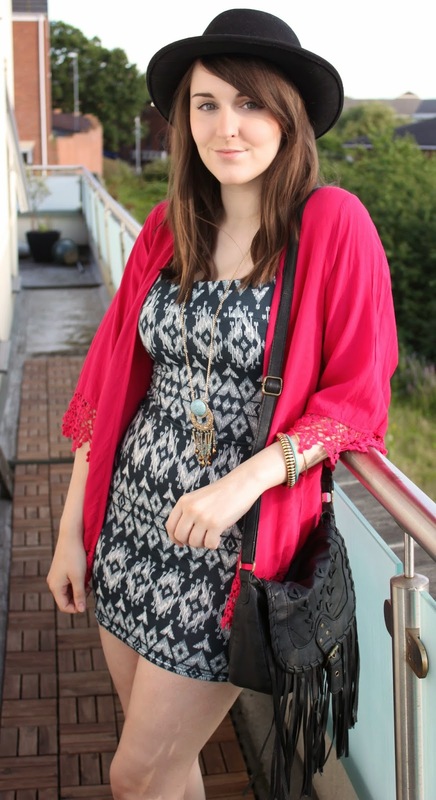 The red kimono proves to be quite versatile and it is a nice change from all of the floral ones! That is such an awesome kimono! I love the color of it. Also love how you styled it with that cute floral romper! Ahh I love that kimono!! Hey Shannon! Thanks so much glad you liked the Kimono! Heyyy lovely! Aw thank you so much! And yeeyyy thank you, your recent post totally inspired me to buy my own domain too!! i love all the ways you styled it! Nice post! /the second outfit is my fave, you look gorgeous! I love how you styled this, kimonos are so versatile! The Topshop navy bardot top is super cute!! Love all your different ways for styling a kimono! Number 2 was my favorite- that crop top is beautiful! :) Thank you for stopping by my blog as well! Number two is my favourite by far, I could never pull it off though with my jelly belly, you lucky thing having a figure like that! These outfits are fantastic! You styled the kimono really well!